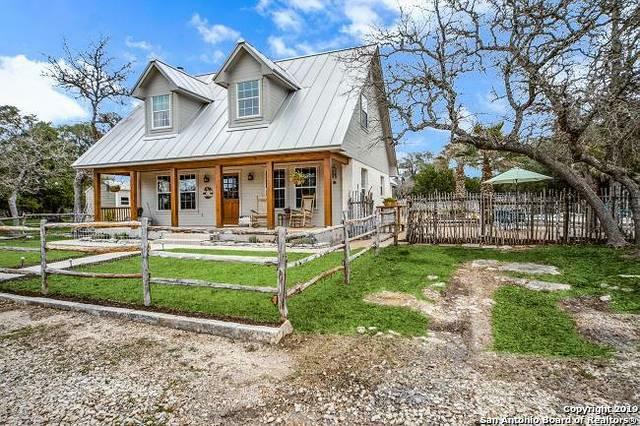 Charming 4 BR/2.5 BA home on stunning tree studded 5.05 acres. 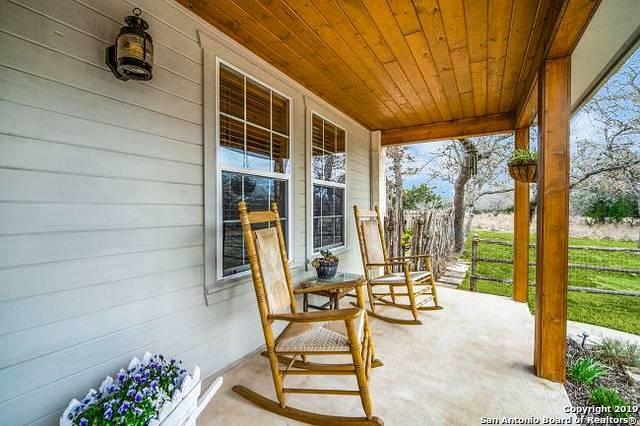 Expansive front porch w/pretty cedar plank accents. Sparkling pool surrounded by over 1400SF of patio. 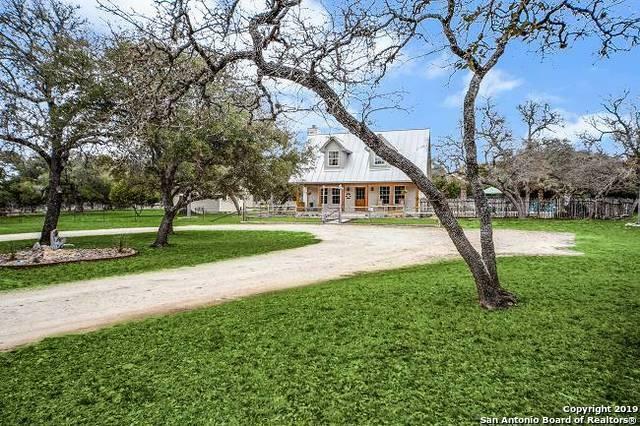 Cross fenced for horses plus 3 stall horse barn w/ water, electricity, & tack room. 20 X 20 workshop. Downstairs master BR w/ outdoor access & covered back porch. Gorgeous finish outs thru out! Quartz counter tops, dbl oven, & farmhouse sink in kitchen. Wood burning FP in living rm. 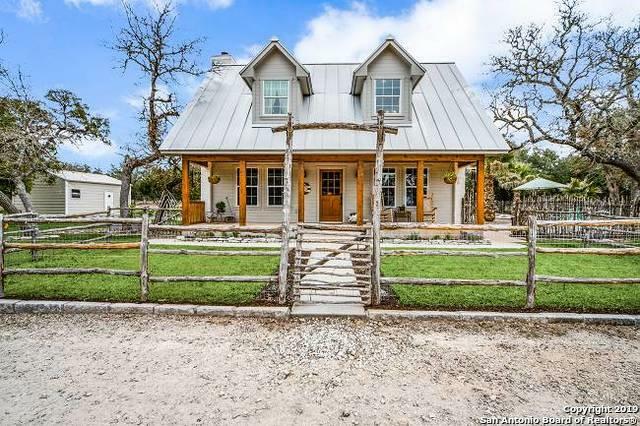 18 acres neighborhood park on Guadalupe River w trails, etc. Listing provided courtesy of Brandi Quinn of Phyllis Browning Company.